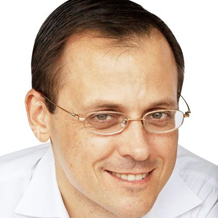 In 2005 Frederick “Fritz” Demopoulos co-founded and was the CEO of Qunar. Qunar was acquired by Baidu in 2011. Fritz also co-founded and was the CEO of Shawei. Shawei was acquired by Tom.com in 2000. Fritz held senior management positions at various online and traditional media companies in China including Netease, Hai Run Media Group and News Corporation. Fritz currently coordinates his personal investment and entrepreneurial activities through Queen’s Road Capital. A native of Los Angeles, Fritz was educated at UCLA, The Chinese University of Hong Kong and Karls-Ruprecht University in Heidelberg. He has lectured on entrepreneurship and the Chinese Internet at Stanford, Harvard, UCLA, Tsinghua, Beijing University, Singapore Management University and the Communist Party College in Nanjing.